Today a fantastic news was received by the Foundation Lutreola. 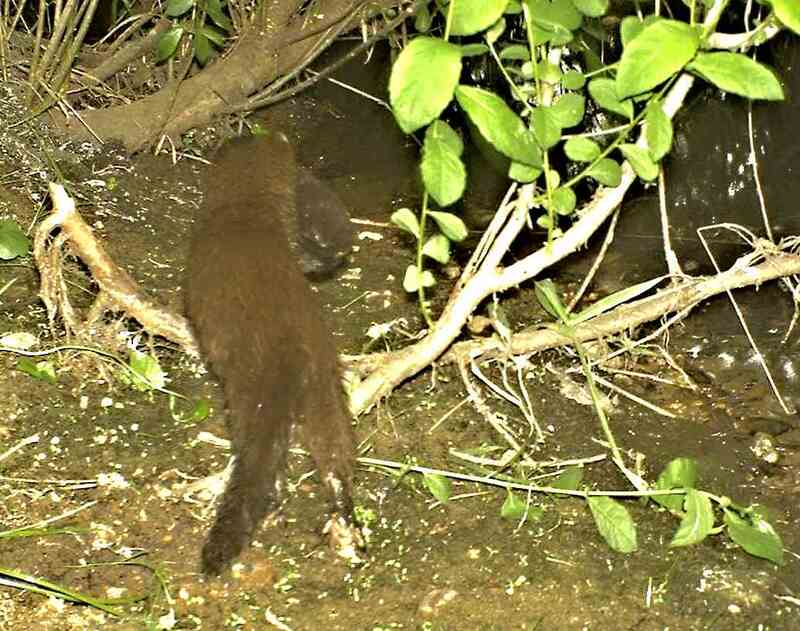 The European mink reintroduction project initiated in 2010 in Steinhuuder Meer (in Lower-Saxony, Germany) reached to a very important milestone. 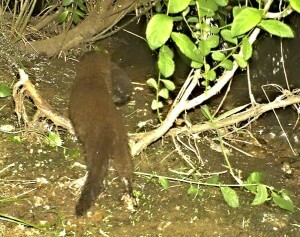 A trail-camera image proved the very first breeding of the European mink the wild there. As it can be seen in the photo – female is carrying a pup. This is a fantastic reward for all the hard and dedicated work our collaegues in the Ecological Conservation Station at Steinhuuder Meer have been doing all these years. Foundation Lutreola and Tallinn Zoo congratulate our colleaguase for this success! The Lower-Saxony and the Steinhuuder Meer Conservaiton Station have very good reasons to be proud of – THEY HAVE DONE IT!!! !